Happy 2016! This is the third year of doing my New Year, New You series and I hope to offer up some useful bits you haven’t heard before. Nothing is worse than reading the same old tired sh*t like “take the stairs instead of the elevator or replace fruit for dessert.” Nope…not going to insult your intelligence and waste your time. As a mother, wife, daughter, business owner, etc the definition of New Year, New You extends beyond just healthy eating and weight-loss to striving for the best me in all these major areas of my life. More responsibilities = more areas that need improvement. It’s taken me a few days to get going because honestly I couldn’t write content with all of the change going on. We closed out the year for my jewelry brand (best year ever largely because of an amazing team), my son started a new school, we hired a new part-time nanny and both sides of our family stayed with us over the holidays. Writing on how to be healthy didn’t seem honest when I was falling off the fitness wagon while trying to juggle everything. I read somewhere that “it’s not the holiday season unless we push our bodies to the brink of alcoholism and diabetes.” I wasn’t that extreme, but I did enjoy my wine and carbs a little too much. 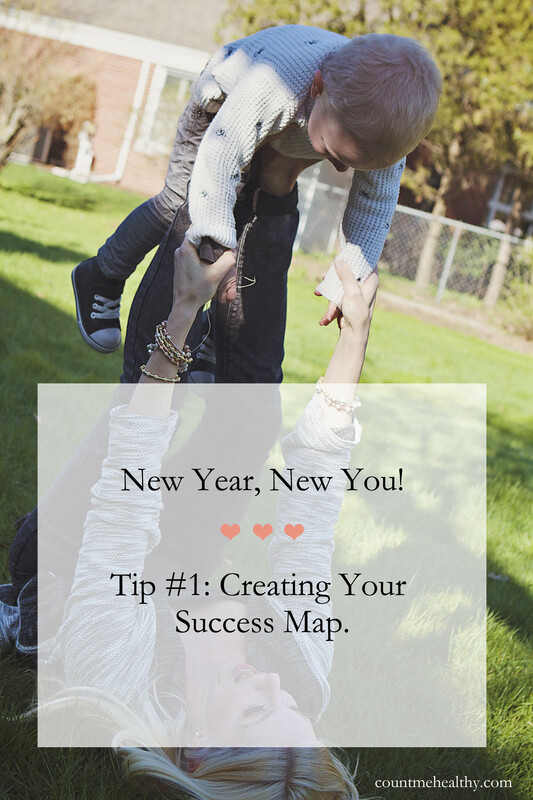 Now I’m in full-on New You mode and this first tip is easy, inexpensive and makes a huge difference with any New Years goals you have made. I’m going to use the word “goal” instead of resolution because resolutions seem to only exist at the beginning of the year and then fizzle. Goals are long-term relationships. 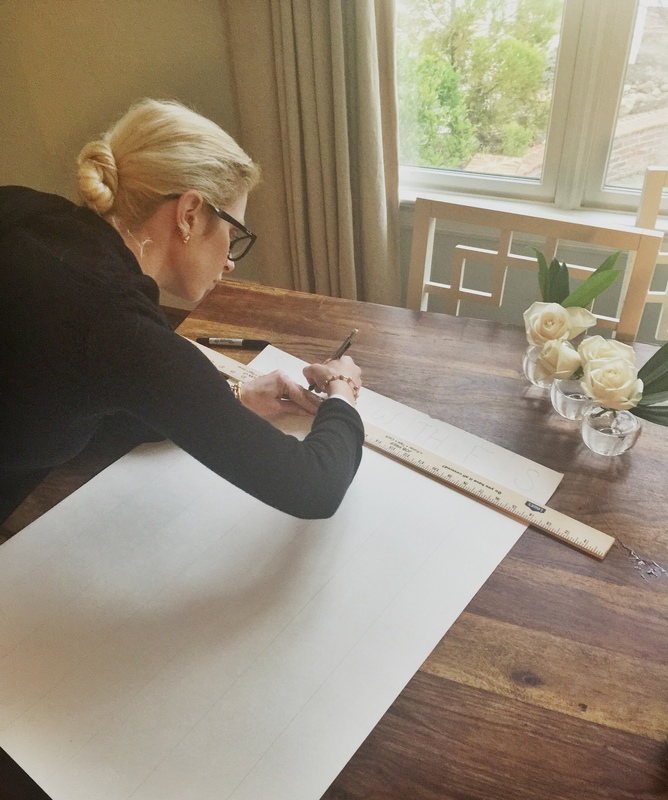 Ok Let’s Create Your Success Map! 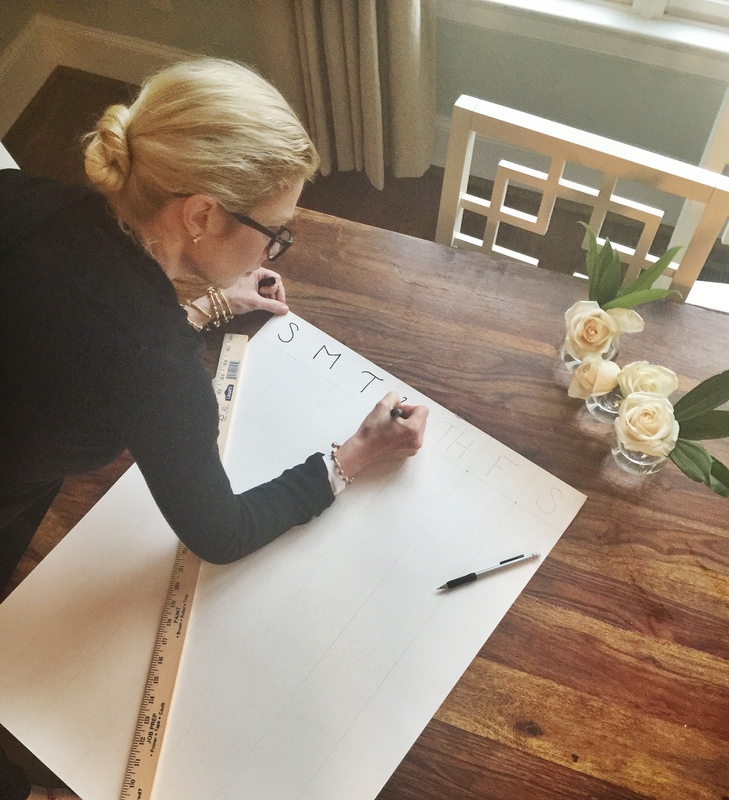 What is it: Basically it’s you charting your life; penciling in your M-F by envisioning your healthiest (yet achievable) week. Think part calendar, wish list, vision board, diary and to-do list rolled into one. Mapping your day, morning to night, with actions supporting your healthy lifestyle will serve as a loose guide and keep you accountable. 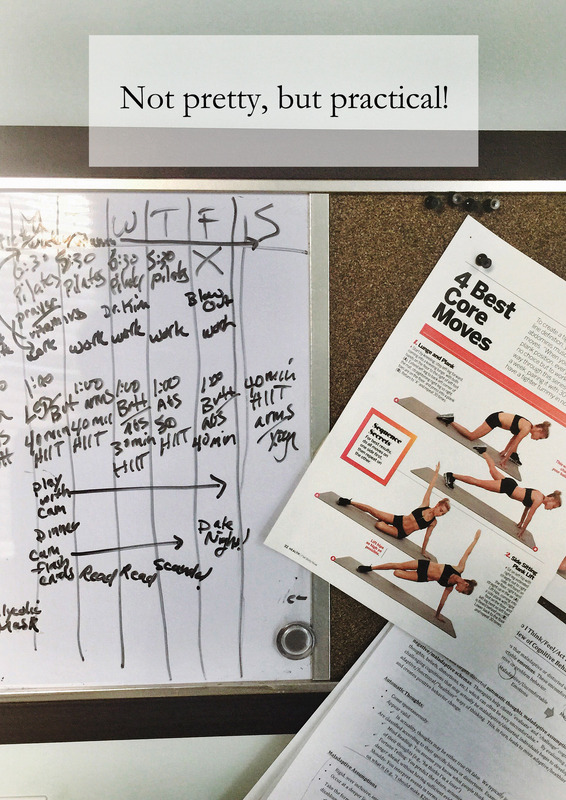 What You Do: I got the idea when I was in my workout room and divided the white board into 7 columns for the days of-the-week. I was just going to marker in my training schedule (muscles worked, cardio minutes logged), but it grew from there. I just kept listing things that would make up a happy, fulfilling, balanced week for me: work hours, prayer/meditation time, family time, date night, when I take my vitamins and supplements, pilates, weekly salon blowout (yes my splurge), flashcards with my toddler, etc. My whiteboard became a jumbled mass of ink because I didn’t have enough room to write, but it felt really good to see a positive, healthy week in review. Even if it only takes 5-10 minutes of your day (like reading a page from The Daily Word devotional or having a cup of green tea), if it has a positive impact on you…write it on your Success Map. Do you want to work on embracing your down-time by reading that book collecting dust on the nightstand? Pencil in reading time. Been wanting to do a weekly at-home glycolic scrub or hydrating Korean beauty mask? Pencil in 10 minutes of skin pampering. I’m sure you’ve heard the tip, “treat your workout like a meeting or appointment.” Playtime with your child, stretching, learning a new skill, or little indulgences should be treated as appointments as well. After I wrote out my weekly wish list/schedule on the dry erase board I gave it a test drive. I realized that based on my new schedule with work and Cam’s school I had misjudged timing for a bunch of things. So, I just rewrote them and altered the amount of time for certain activities. Then I transferred it to a poster board. If you’re using a standard 22″ posterboard your columns will each be 3.14″. Then label S, M, T, W, Th, F, S at top. I used pencil and then retraced in Sharpie. Now I am loving my success map; a snapshot of a fulfilling week with time for my family and myself. I would show the finished product but there are some personal things listed:). Hang or set in a private place, like your bedroom, where you will see often. Like the concept behind Count Me Healthy bracelets, this weekly Success Map is another reminder to keep your health goals a priority. Plus it’s a great brainstorm for re-examining what is most important to you for the New Year. This map isn’t concrete at all. It is your ideal week. You are penciling in activities that you would like to be standing weekly practices for you. Kids get sick, work projects arise, you may be traveling. This is fine. Your success map is a high quality week for you if you could paint it with no interruptions. It isn’t meant to make you feel bad about yourself if you can’t follow it to the letter. It is meant to make you feel good and proactive for all of the items you do follow through with. Be a cup-half-full chick here. This isn’t a deprivation list. The first time I wrote this out I also listed: no wine, no dairy, no gluten, no no no. Then I was like, this is my wish list of a great week, it doesn’t have to include things I shouldn’t have or do. I can log that somewhere else. Remember this is about getting a big picture of your week so you can fit in the things you love to do. It’s not a spontaneity killer. Fantastic idea – love it!